A Bhutanese wedding is much more than a simple exchange of vows and rings. 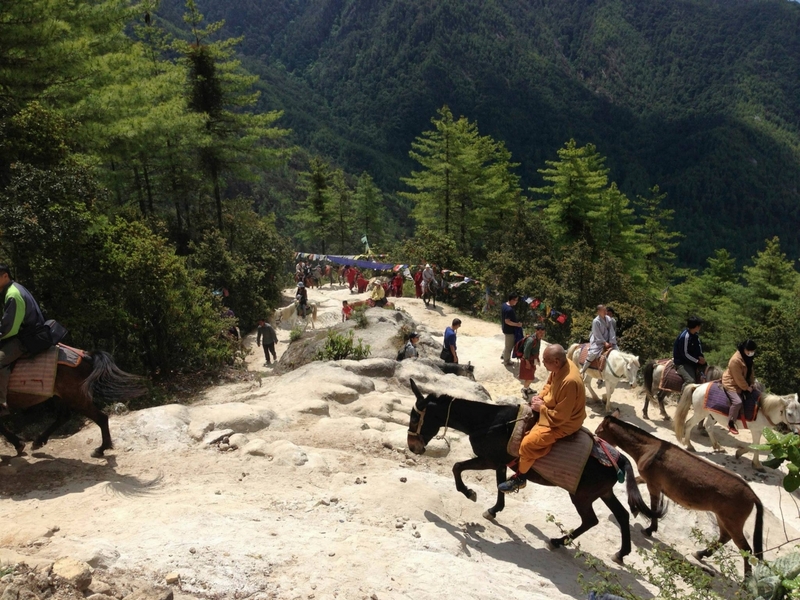 It includes a number of religious rites performed by Buddhist monks and lamas. This represents the importance of the bond between a husband and wife. Arrive at Paro International Airport from Delhi, Calcutta, Kathmandu or Bangkok. 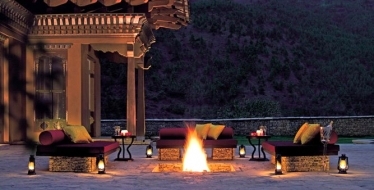 Paro is situated in a beautiful valley at 2280 metres and is a fitting introduction to this charming kingdom. 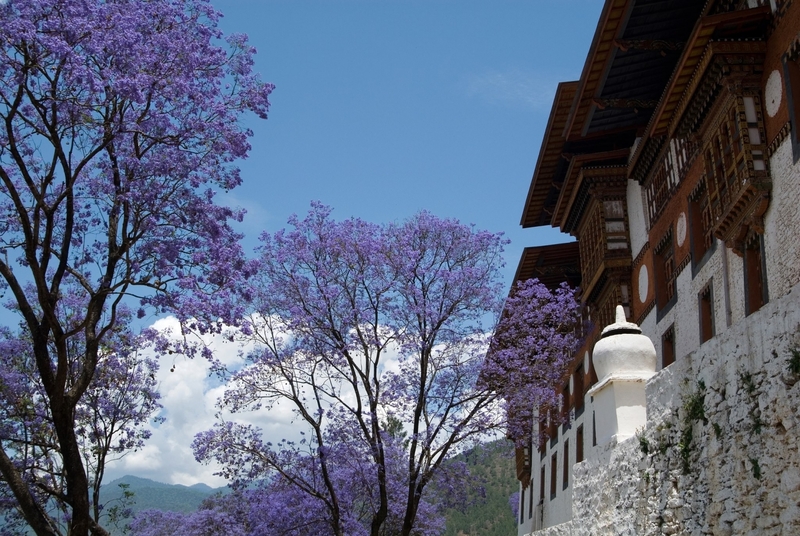 Your guide will meet you and take you on a short one-hour drive along the Paro and Thimphu river valleys to Thimphu, Bhutan’s capital, at 2320 metres. You can stop on the way to take in the magnificent Tamchhog Lhakhang, the hereditary place of worship for Bhutan’s iron bridge builder. Take a late afternoon walk around town and soak in the atmosphere of this magical capital with its busy shops and bazaars and photogenic citizens in national dress. Overnight in Thimphu. Thimphu sightseeing. We will visit the weekly market and the School of Traditional Arts. Later we will take the couple to choose their wedding outfit - the traditional Bhutanese dress of gho for the groom and a kira with a scarf for the bride. Overnight in Thimphu. Today after consulting with a Bhutanese astrologer we will find out what time the wedding ceremony should start. 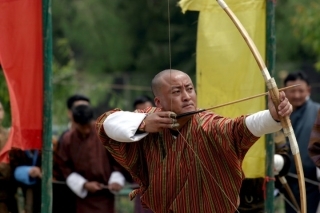 The wedding ceremony will take place either in Dechen Phodrang Monastery, Changangkha temple or other private temple. Overnight in Thimphu. In the morning we will experience some traditional Bhutanese cooking with a Bhutanese family. You will also have a weaving class before driving to Paro. 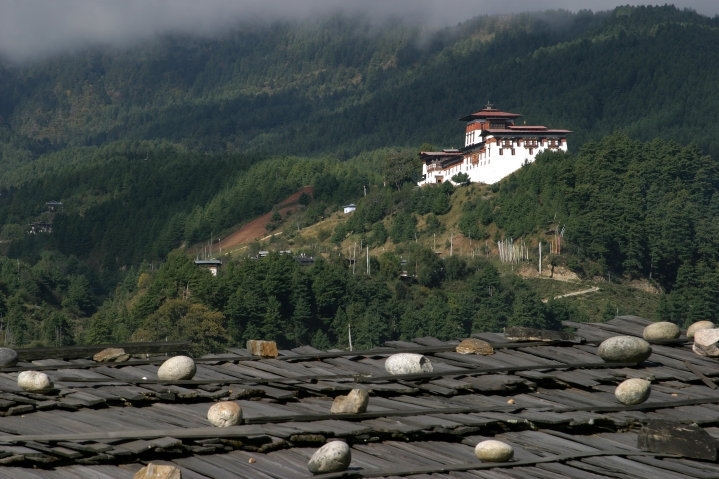 In Paro we visit a local farmhouse and experience a traditional hot stone bath. After this we return to the hotel in Paro. Overnight in Paro. Take a day walk to the ‘Tiger's Nest’, the sacred Taktshang monastery which clings to the rock face 900 metres above the valley floor. Guru Rinpoche is said to have flown to the site riding on a tigress. He subsequently meditated here for three months. It is one of Bhutan’s most holy sites and draws pilgrims not only from Bhutan but also from neighbouring Buddhist countries. You can have lunch at the Taktshang cafeteria from where you get a spectacular view of the monastery. 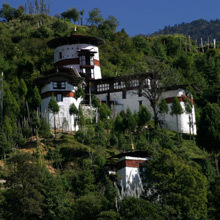 On the way back you can visit Dumtse Lhakhang, a temple built by Thangtong Gyalpo, the iron bridge builder. Overnight in Paro. • Roundtrip Air tickets between Hong Kong and Bangkok (or other transit hub); and between Bangkok (or other transit hub) and Paro. Please contact our travel consultants for flight arrangements. • Personal expenses such as laundry, phone calls, shopping, etc.